While in Steamboat Springs, my wife and I visited Creekside Cafe for breakfast one morning. We sat outside on the patio by the creek under this umbrella. It was so colorful, I had to take a photo! How cool! Great color and a very clever find when looking up. Quick story - I have an old friend that has always called me "Goodie" - so it makes me smile when you comment with that word. When his twin sons were born 17 years ago, they only knew me as Goodie. But when they were little, they couldn't quite say Goodie, so to them I became "Gooey." LOL. I love it - they are such good boys. 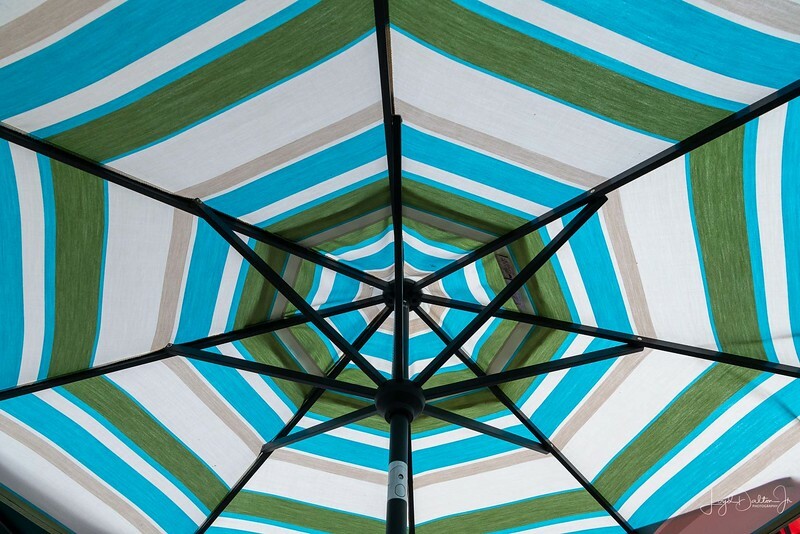 Separate from the fact that this is an umbrella, just looking at the patterns and colors, plus the black angular lines, makes a fun abstract. Neat shot, makes for an interesting abstract! The pattern of struts also appeals. LOL Wayne's comment. At least umbrellas can't stick out a tongue to ruin your carefully composed shot! Lovely abstract... very eye catching!